Jim's diary entry "Quickie: Using radare2 to disassemble shellcode" is a good reminder on how to use radare2. I don't often use radare2, indeed I tend to forget which commands to use exactly. In this diary entry, I would like to showcase a tool I've used before for diary entries: scdbg. scdbg is a shellcode emulator (for Win32 32-bit shellcode). 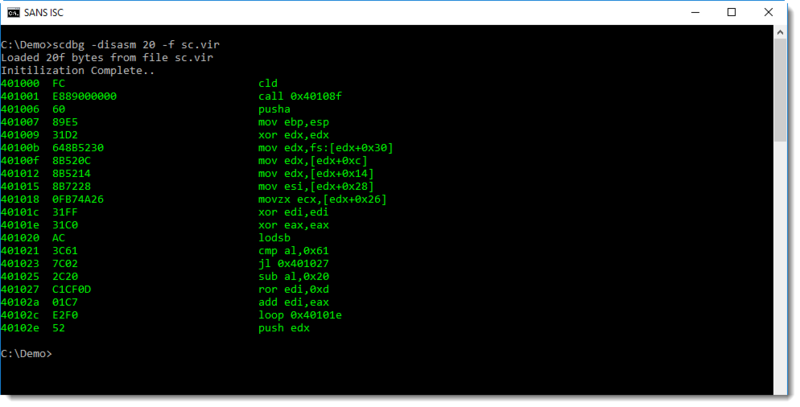 I helps you quickly analyze what shellcode does, by reporting the Win32 API functions called by the analyzed shellcode. I prefer to use the Windows version of scdbg, even on OSX and Linux (with Wine), because it supports more Win32 API functions. This produces more output, and stops the emulation when an unsupported function is called (GetDesktopWindow). 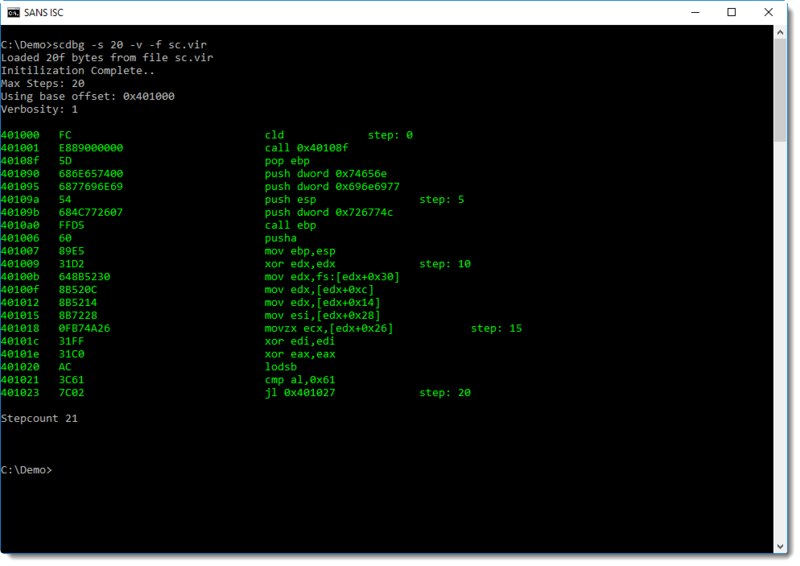 This is not a disassembly of the shellcode, it's more like a trace: each emulated instruction is disassembled. You can see this after the second instruction (call), control is passed to address 0x40108F. scdbg emulates shellcode, it does not execute it. The shellcode in our example, will not establish an HTTP connection for example.